Mrs. Candy Siu Chau Kwok Kam passed away peacefully on 26 Sep 2015. Beloved wife of Kevin Kam. Adored mother of Kerwin and Emily Kam. Respected mother in law of Candace Chen. 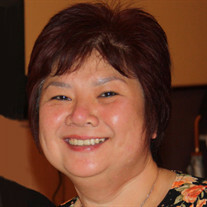 The family of Candy Siu Chau Kwok Kam created this Life Tributes page to make it easy to share your memories.